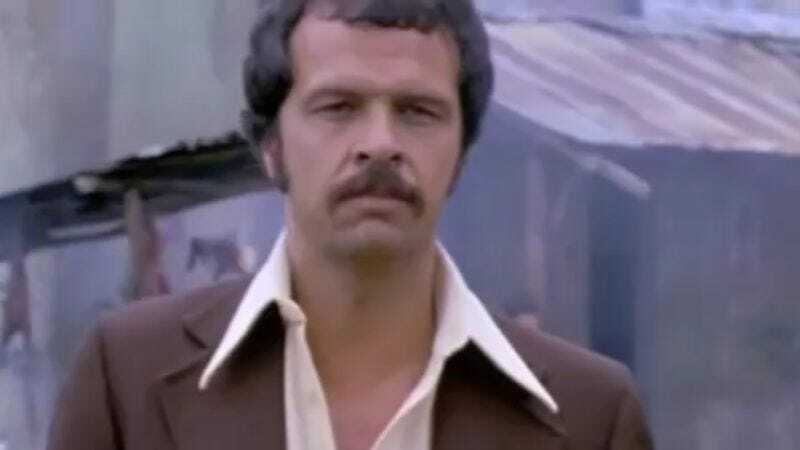 Randy Jurgensen always brought a certain authenticity to his numerous bit parts as cops in films such as Cruising and Vigilante, as well as NBC’s Homicide: Life On The Street. Sure, the mustache and cheap suits helped, but being a 20-year veteran of the New York City police force is probably what made his portrayals so real (the novel that Cruising was adapted from was based on an actual case Jurgensen was involved in). On the podcast Saturday Night Movie Sleepovers, co-host Dion Baia sat down for an extensive interview with Jurgensen that explores his early days as a New York City patrolman, his promotion to homicide detective, his consulting work, and acting and producing in film. This is a break in format for Saturday Morning Sleepovers; normally Baia and co-host J. Blake discuss a film they consider to be a “sleepover classic”—Gremlins and Transformers: The Movie have been featured on the show in the past. The first part of the interview focuses on Jurgensen’s youth, military service, and his early days as a police officer where he witnessed New York City transform from Father Knows Best to the gritty, crime-plagued New York of the ’70s. The second part of the interview will be of particular interest to A.V. Club readers as Jurgensen discusses being hired as an advisor on William Friedkin’s The French Connection. In the interview, the retired detective recounts showing actors Roy Scheider and Gene Hackman how to pull off a proper heroin bust, the origins of the nickname “Popeye” Doyle, as well as the stunt work that Jurgensen was involved in on the film. It is certainly a lengthy interview, but worth a listen as it sheds some light on one of cinema’s unsung stars as well as providing some insight into the filmmaking process, particularly in the late ’70s.